Nelson Piquet managed an emotional victory for the Williams team - just a couple of weeks earlier, team principal Frank Williams had been left fighting for his life following a road accident. Ayrton Senna made it a Brazilian one-two at home after making contact with Nigel Mansell on the third lap, with the two Ligiers of Jacques Laffite and René Arnoux finishing third and fourth. Gerhard Berger finished sixth for Benetton, scoring points for the team in its first race. In terms of drivers, it’s not often you really notice a changing of the guard as it tends to be a relatively slow and gradual process. 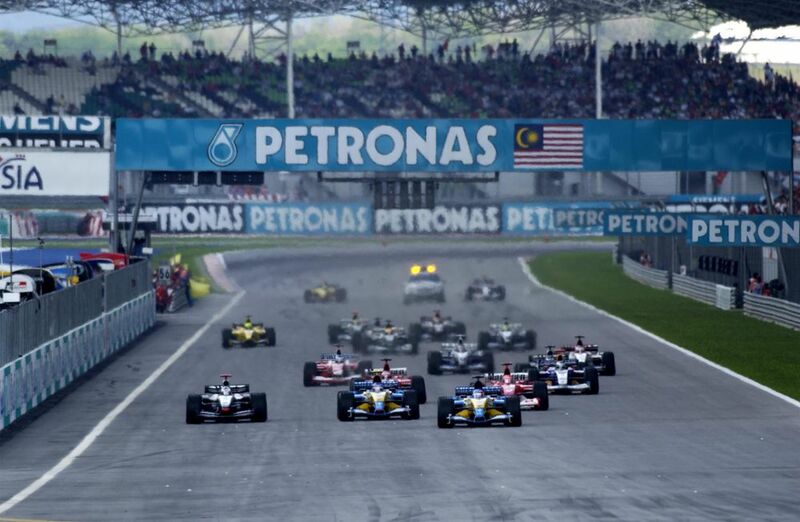 However, the 2003 Malaysian GP weekend provided a fairly decent insight into the future talents of the sport. Fernando Alonso became the then-youngest pole-sitter in F1 history and went on to finish third, becoming the then-youngest podium finisher. Kimi Raikkonen achieved his first grand prix victory (which at the time made him the second-youngest winner) and Jenson Button ran a strong fifth for most of the race in his BAR, eventually finishing seventh. Michael Schumacher finished a lap down in sixth after a clumsy race and although he’d win the next two championships, nobody was surprised to see Alonso and Raikkonen take over his mantle in the middle part of the 2000s and continue to be among the best drivers on the grid well into the next decade. 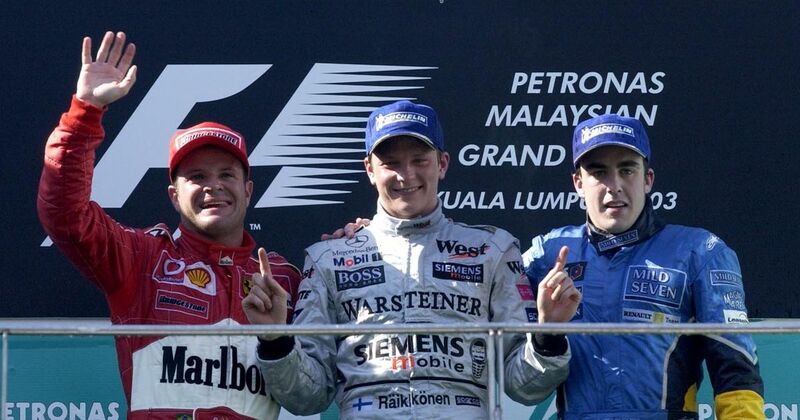 Another Malaysian triumph for Kimi Raikkonen, who took a comfortable win after teammate and early leader Felipe Massa spun out of the race at half-distance. Robert Kubica finished second with Heikki Kovalainen third - Lewis Hamilton could only finish fifth after a dodgy pit stop dropped him behind Mark Webber, who he spent most of the race stuck behind. Arthur Owen (born 1915) entered a Cooper in the 1960 Italian GP, only to crash out with brake failure on the opening lap. John Taylor (born 1933) started six races between 1964 and 1966, scoring a point in the 1966 French GP. However, in that year’s German GP at the Nordschleife he collided with Jacky Ickx on the opening lap and was badly burned - he sadly died of his injuries a few weeks later. Bruce Kessler (born 1936) made just one attempt to qualify for a race, when he drove an outdated Connaught entered by Bernie Ecclestone in the 1958 Monaco GP. Unsurprisingly, he was one of the 15 drivers (yes, 15!) who failed to qualify for the 16-car grid. Ricardo Zonta (born 1976) made his debut along with the BAR team in 1999. He stayed there for 2000 where his best results were a trio of sixth places, but his most famous moment probably came during his 12th place at Spa - he was the backmarker Mika Hakkinen used during his legendary pass for the lead on Michael Schumacher. BAR dropped him at the end of the season from then on he ended up being relegated to something of a substitute driver. 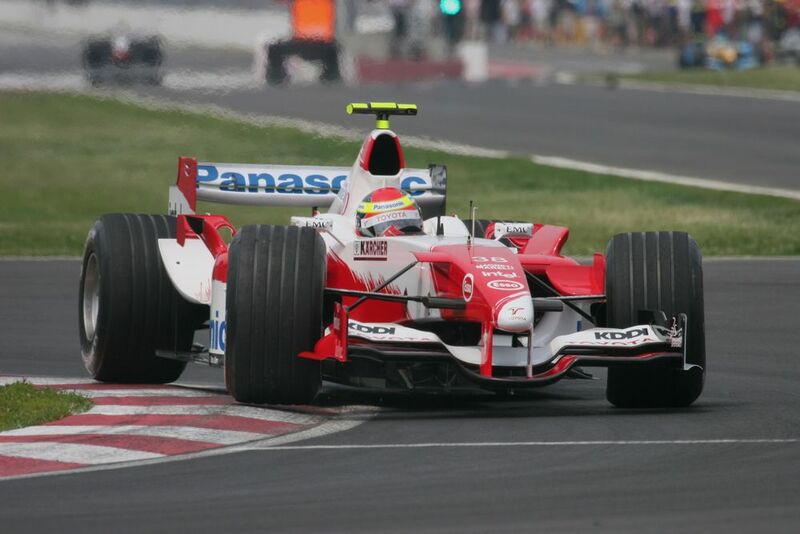 He did two races for Jordan in 2001 and then replaced Cristiano da Matta at Toyota for the final few races of 2004. His last race would have been the 2005 US GP when he subbed for Ralf Schumacher but the Michelin tyre fiasco meant he never got to take the start. Jaime Alguersuari (born 1990) became the youngest driver in F1 history when he replaced Sebastien Bourdais at Toro Rosso for the 2009 Hungarian GP, aged 19 years and 125 days old. He stayed with the team until 2011 and put in a number of solid performances (a pair of sevenths were his best finished) but, like teammate Sebastien Buemi, he ended up out of a drive when Red Bull decided to promote a couple of their latest young hotshots for 2012 - Daniel Ricciardo and Jean-Eric Vergne. Alguersuari then raced in the first ever Formula E season before retiring from all motorsport at the tender age of 25. Alexander Albon (born 1996) was dropped from Red Bull’s junior squad at a very young age and then had to make his way up the motorsport ladder the hard way. Some impressive seasons in GP3 and Formula 2, where he fought for championships with Charles Leclerc and George Russell, put him back on the radar of F1 teams and he ended up with a seat at Toro Rosso for 2019.